I’m attending my very first BlogHer this year, and while I should be super excited—after all, I’ve been dying to do this for a few years now—in reality I’m actually feeling a tad ho-hum about it right now. But that’s okay! I’m considering this my “starter” BlogHer, which allows me to keep my expectations low and not put too much pressure on myself. This is awesome for a number of reasons. 2.) No wardrobe freakout necessary. Considering I’m still packing 20 extra post-pregnancy pounds, I’m not even gonna try to squeeze into something cute. I’m wearing one comfy, spit up-friendly outfit for the day and calling it good. Elastic waistbands are my friend and what I don’t care what you think. 3.) My nine-week-old bambina is tagging along with me. This fact alone lowers the bar substantially considering blowouts, baby barf and meltdowns are all but inevitable. I’m just going to roll with it. 4.) I downloaded the BlogHer ’11 app for iPhone, which will hopefully make up for the fact that I haven’t so much as glanced at the schedule yet and probably won’t until the day before I go. So there you have it. 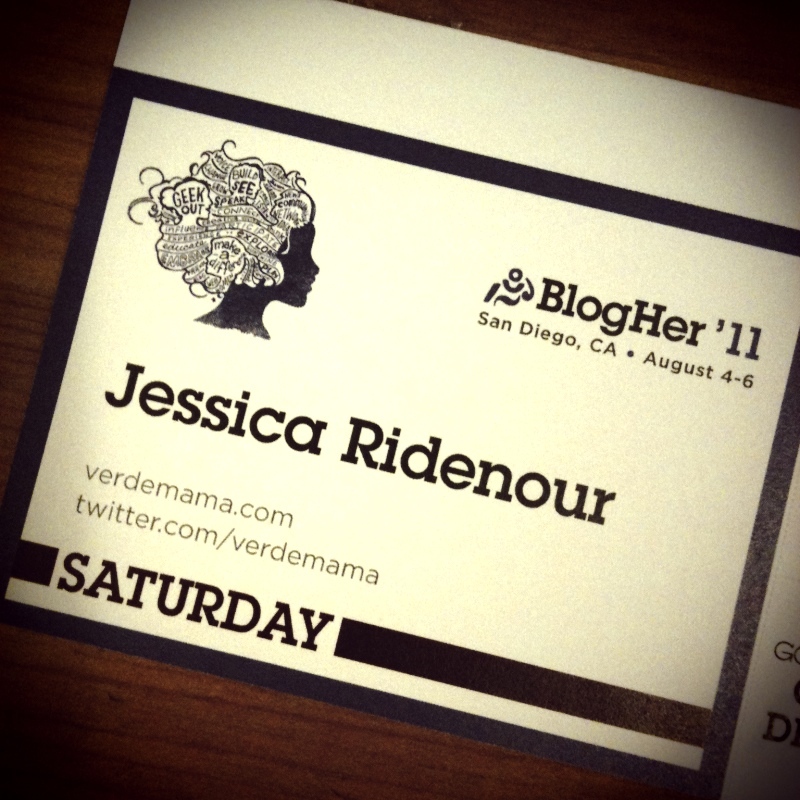 I offer no real tips or tricks for attending BlogHer, because I’ve never been before and I have no idea. That, and I’m lazy, er, busy lately. I just wanted to put this out there in case anyone wants to connect. Anyway, if you’re going and you happen to see me there juggling a laptop baby and a laptop computer, come say hi!